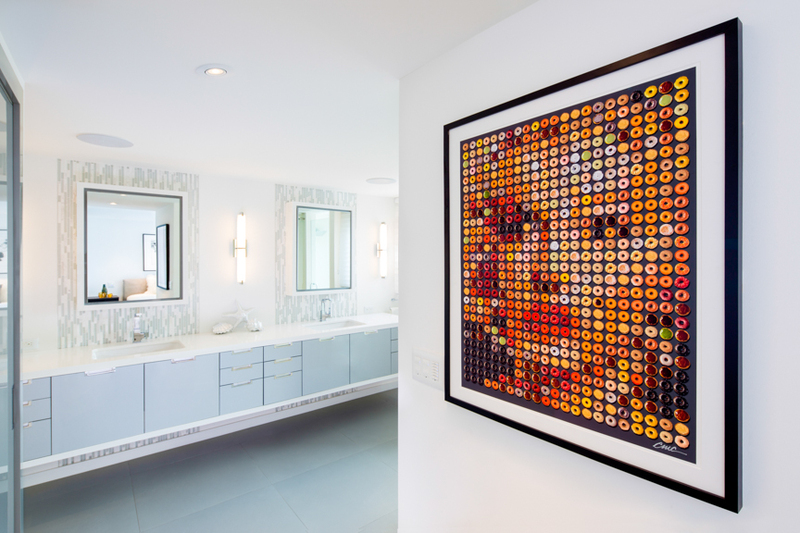 Contemporary Art + Function — Built By Owner, Inc. 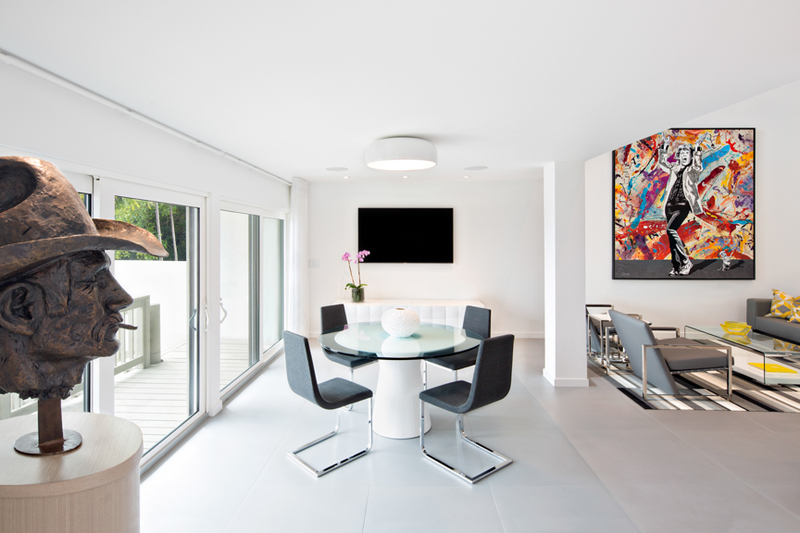 This urban, airy home situated near the Barnacle historic site in Coconut Grove, harmoniously brings together the natural, timeless beauty of the tropics and the modern, clean nuances of an art gallery. 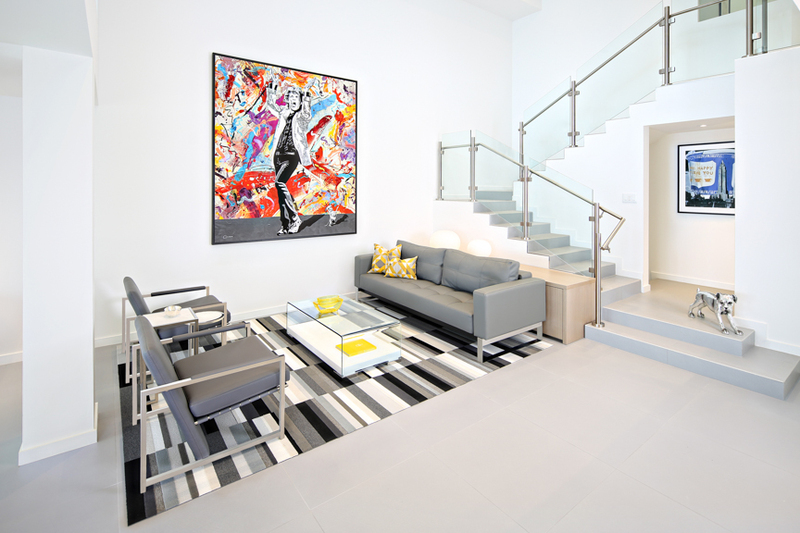 With shades of gray and white, accented by natural elements and perfectly complimented by stunning art pieces, this contemporary open-plan townhouse embraces light and creativity while maximizing efficiency and space usage. 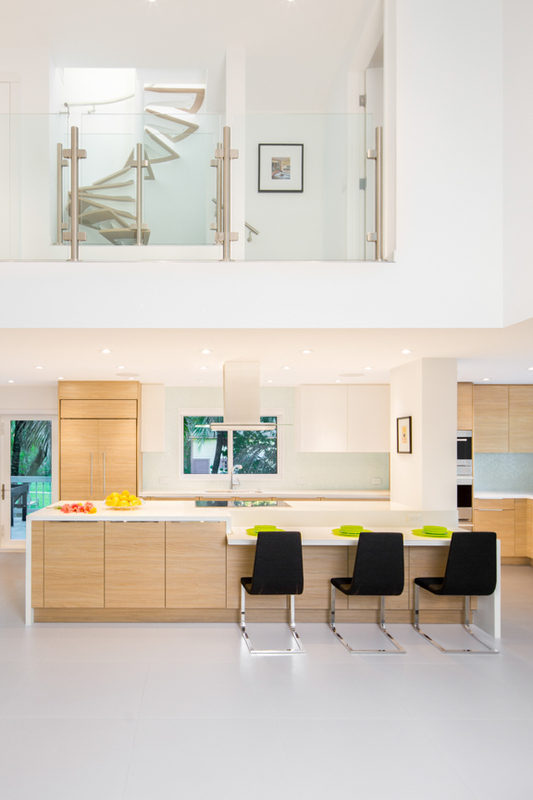 Glass walls and railings allow for magnificent bay views from any part of the home, and custom built-ins in every room eliminate clutter, creating clean beautiful sight lines. “Built By Owner, Inc. did an outstanding job in every respect. They are extremely professional in everything they do and they are all super-nice people. My wife and I chose every sub-contractor that Built By Owner recommended and we were thrilled with each and every one of them. 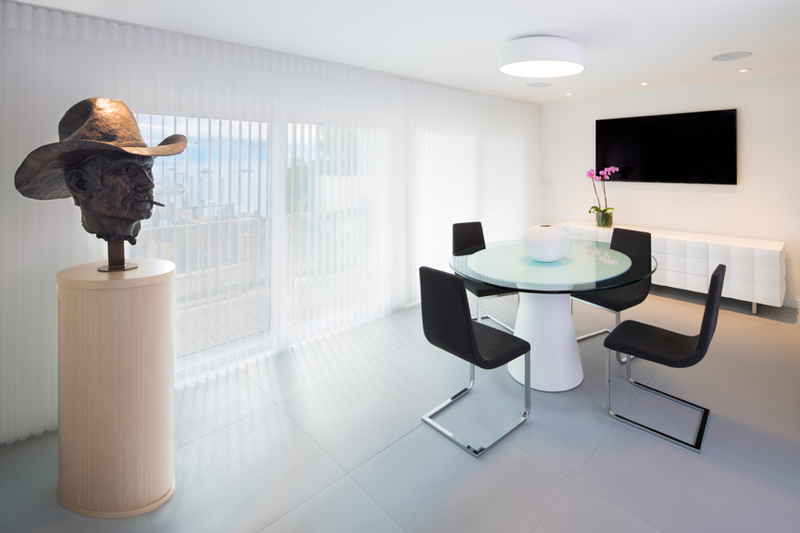 Built By Owner did a total and complete renovation of the interior of our townhouse. Their interior demolition stripped everything down to the concrete blocks and wood framework, including the removal of two fireplaces. The job included the demolition of a raised living room on our first level. Prior to that demolition, the entrance to the townhouse, the kitchen and the dining room were two steps lower than the living room. They also eliminated a wall that separated the kitchen from the living room, and now we have a lovely open kitchen. 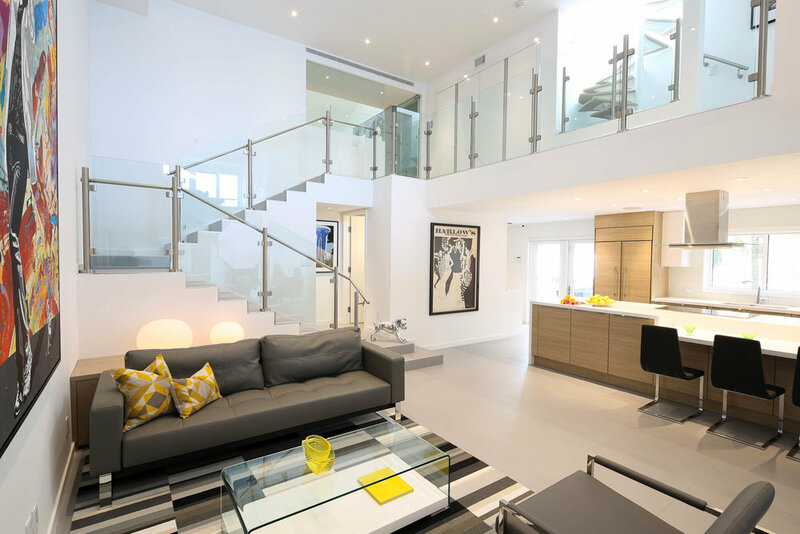 Built By Owner did an amazing job of transforming a townhouse built in 1978 from a dark, rough sawn cedar interior into a spectacular state of the art, modern showcase, with no wood, two glass walls, glass staircase railings, etc. On the second level, Built By Owner also totally transformed every room, including the conversion of a previous den into a magnificent master closet. Built by Owner also did a fantastic job with our roof deck patio.